This section of our web site provides links to web sites that may be useful in discerning New Age or heretical teaching. I've also included web sites that point people to the solution... the gospel of Jesus Christ our Lord and Savior..
Grace To You (John MacArthur) - Download biblically sound videos and podcasts free. A huge seledction are available covering nearly every Biblical subject. Masters Seminary - Watch Masters Seminary classes online for free. 911 Christ - This web site takes people through the Ten Commandments to show them they are a sinner in need of salvation. Way of the Master - An excellent source of gospel tracts, videos and evangelism training. Herescope / Discernment Research Group - And excellent online journal published several times a week by Discernment Ministries, Inc., revealing heresies and false teachings affecting the Church today. 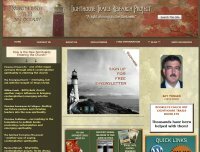 Lighthouse Trails Research - Packed with resources, mainly about exposing Contemplative Spirituality, but also covering a wide variety of topics related to false teaching getting into the church. Chris Lawson / Spiritual Research Network - Exposes doctrines that opposes or nullifies the Gospel of grace as found in Scripture, and contends for the faith against those who suppress or reject doctrinal truth for the sake of unbiblical ecumenical unity. Also provides evangelistic training and resources with an emphasis on the Bible as the verbal and plenary inspired, inerrant Word of God. 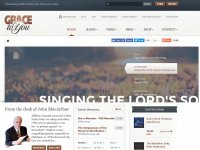 Pirate Christian Radio - Online radio station with programming that focuses on revealing false doctrine and false teaching. Wretched Radio - This is an online radio and television ministry. Access to the radio and TV shows requires a monthly subscription, but it is worth the price..